Please read these authentic testimonials from parents of children who attended Arcadia Children’s Day Care . I’m very thankful to the Arcadia Children’s Day Care staff. It is such a relief to go to work every morning and know that my son is in the caring hands of his teachers. My son has been a student of Arcadia Children’s Day Care from the age of 2, and it has been a true blessing, as he went from being a very shy boy to a social butterfly. He loves his teacher and have many friends. When I first started searching for daycares, all I was looking for was a safe place for my child. However Arcadia has exceeded my expectations. My son recognizes the alphabet, shapes, colors; he counts and recognizes the numbers from 1-100. Arcadia is not only a fun and safe place for my child. Arcadia is also a place where he can learn the basics before going to school. My younger daughter Yuleiny Pichardo is attending Arcadia Children’s Daycare. Her sister, Yulismar, also attended the daycare and now goes to elementary school. 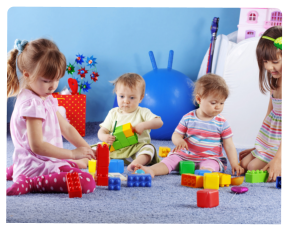 I was very happy with how well prepared my older daughter was for school after attending this daycare and preschool, so when Yuleiny needed daycare services, I naturally chose Arcadia Children’s Daycare. Yuleiny is a very active, talkative and happy child. Every day she come home to tell us what happened at the daycare – the games she played, the songs and nursery rhymes she sang, the crafts she made. She has learnt her colors, shapes, alphabets and can count from 1 to 10. Every day she hears a new story from the books the teachers read out to her. She loves her teachers and they love her! She always talks of Miss Maria and Ms Carmen at home! Yuleiny is a good eater – I never have to worry about that! At the daycare, she eats healthy meals and the menu is posted for every month so I know what she is eating, She is learning to share and play with other children – of course if there are small behavior issues, the teachers tell me about it, and Yuleiny and I have a follow-up talk at home. Arcadia Children’s Daycare is doing a great job of taking care and teaching children. l know many mothers in the neighborhood who have children who need preschool and will be very happy with the UPK program here. Please feel free to call me. I am the mother of Kevin Herrera who is currently in the preschool class of Arcadia Children’s Daycare. Kevin joined the daycare when he was a toddler and now he is 4 years old. When he joined the daycare, Kevin was a shy baby at least at the daycare, but from my talks with the director and teachers I always felt very comfortable that the daycare was a good place for him and he was being taken care of, and was safe. Kevin will be going to Kindergarten this September. I am so excited for him! Today he not only knows his colors, shapes, alphabets – he is reading simple books. Kevin can count from 1 to 100, and also does addition and subtraction. I think his handwriting is very good, too! Kevin amazes me with the knowledge of the world that he received from attending the UPK program. He can talk about plants, weather, ocean, animals, the senses, the president, about our country and so many other things! He has learnt that milk, fruit, vegetables, salads are good for him, and every day at the daycare I know he eats healthy food. I am a hardworking mother who is studying nursing fulltime. My days are long and filled with study, chores, and the responsibility of being a mother. I feel lucky that my child is being taken care of and taught in a loving, nurturing environment. I have to thank HRA for their support with daycare benefits and Arcadia Children’s Daycare for being such a good, loving and safe place for my child.